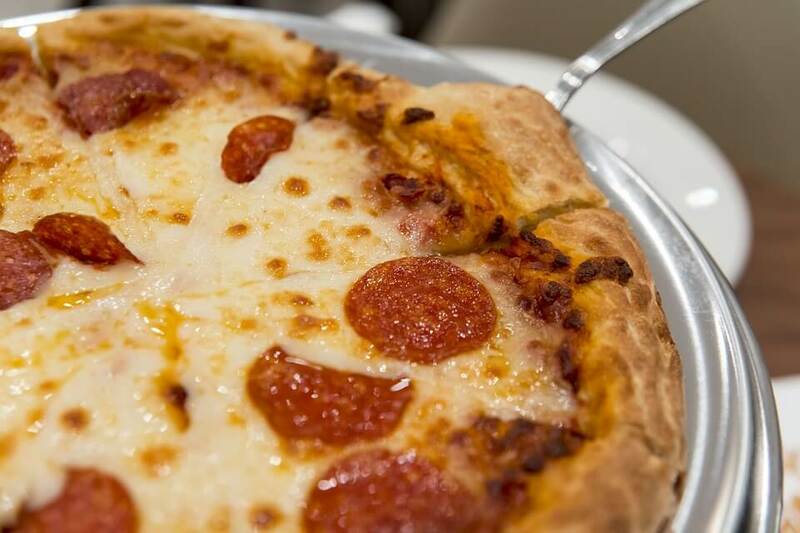 Rich cheese, flavorful pepperoni, mouth-watering tomato sauce baked on a crisp but fluffy mound of dough. If you’re not thinking about pizza right now, you’re obviously unaware that it’s National Pizza Month! October is already one of the best months of the year, with leaves changing and the chance to dress up in fun costumes, but with the addition of pizza it makes an argument for the best month of the year! Everyone knows pizza came from Italy, but do you know the first place pizza landed in America? Well, we couldn’t find the exact answer either … but we do know the first pizzeria in America was called Lombardi’s and located in Manhattan! It’s been around since 1905 and is still open and serving. Lombardi’s may’ve been the first, but we don’t think they’ve heard about this best. And that’s right here at Pinz! Our brick oven pizzas have been stamped with the mark of approval from almost everyone who walks through our doors to bowl in South Lyon. It’s probably because of all the different varieties we can bake so well. We serve– Gluten Free, Supreme, Meat Lovers, Veggie, BBQ Chicken, Philly Steak and Hawaiian! If those don’t fill your fancy, we’d like to think flatbread is pizza’s first cousin and is also the best bowling snack out there. Choose from BBQ Chicken, Chicken Artichoke or Pepperoni, and then turn around to bowl your next strike! Don’t forget to wash it down with one of our 14 beers on tap. (Player with the lowest scores buys the next round, right?) Let’s get to eating pizza, drinking beer, and knocking down pins, South Lyon!